Hannes Egger created ‘tablau vivant’ for the political education event ‘Aktionstage Politische Bildung’. The central motif was a table with benches that became a ‘tableau vivant’ (from the French: a living picture) when used by people. The artist provides the table free of charge for meals, parties and discussions. The only condition placed on borrowing the table set was to take a photo of the participants at the table and send the picture to the artist. ‘Tablau vivant’ promoted dialogue, exchange and solidarity. An objective work of art became a subjective experience. 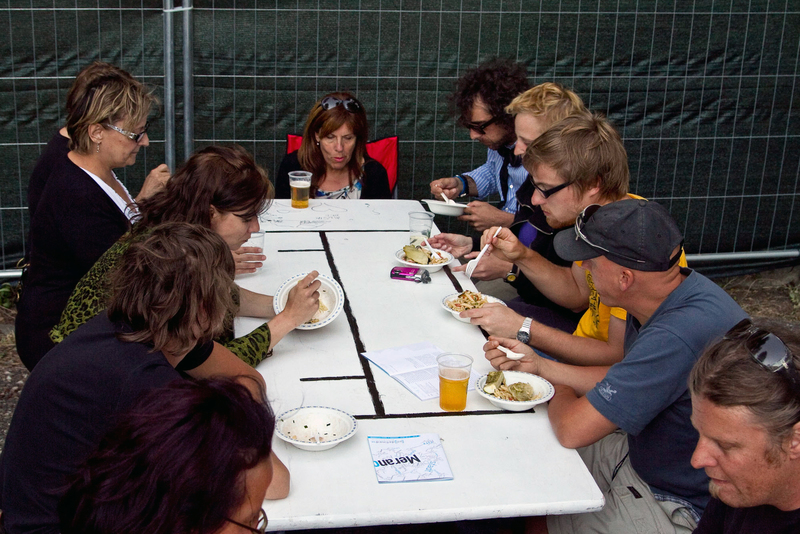 The table acted as a forum for diverse communication and a surface for the projection of personal ideas and plans.